But of course, I did learn a few neat tricks on how to get better at posting up my content as well as getting my posts out there. I am still in the experimenting period as you can see...one thing is for sure though, I am definitely going to be emphasizing more on makeup tutorials than other contents since it has been gaining much views and interests of others. Not to worry, I will still be sharing my occasional beauty hauls, spontaneous travels, foodie moments and etc. I am trying to schedule one to two makeup tutorials per week but on weeks that are a little more hectic, then I might skip the week. But I am always open to suggestions...so feel free to throw in any makeup tutorial suggestions that you would like to see me cover. So far, I have Geisha, Ice Queen, Sailormoon, Malay Bridal and Chinese Bridal makeup tutorial requests on hand. Anyways, back to the SEO part...since I am a noob myself, allow me to simplify what I understood from the workshop. The gist of understanding how SEO works is to CAREFULLY USE KEYWORDS in your titles. For example: "How To Make Pasta" or "What Is Cosplay" or even "Why Do People Fall In Love"
The main point is to make sure that your title consists of the 'topic of discussion' (from the example above, Pasta, Cosplay and Love are the topic of discussion) in it. Of course, having a Relevant Content would also be one of the key points for Google to 'promote' your articles and posts to their users. If your title says something and your entire post says something entirely unrelated, Google will just kick your post off their radar...since they can't spot any relevance in it. Also, do note that the keywords used in your title may 'need' to be mentioned a couple of times throughout your post. And Google is smart enough to know when you are bullshitting your way through, so if you are planning to write a completely irrelevant content and merely slotting in the keywords randomly in your post...forget about it. Oh...and I also learnt that Google focuses on Website Authority. This just basically means that Google emphasizes on authenticity of a post from a website and this also relates back to having a ".com". In simpler terms, if there are more people 'quoting' or back linking to your website, means you have your website authority in check. For example, let's say my Indian Bridal Makeup Tutorial was being shared around or even reproduced by other sites, they would usually link it back to my website www.absoluteyana.com; hence I would have my website authority in check. One more thing to take note is to try not to over re-link in your posts. It is best to have no more than 3 re-links in a post, this was actually suggested by the pros in the industry. And also make sure that the links open in separate tabs...you wouldn't want your readers to 'get off' your website while they were in the midst of checking 'you' out, now would you? Well basically, that's the core of what I had absorbed from the workshop. Tammy, the founder of The Butterfly Project Malaysia also shared her know-hows when I was feeling stuck about my blog. Working up an eye-catching and mouth-watering content is all good but it wouldn't mean much without a little booster. It is good to spend a little amount of money to boost your posts on Facebook, Instagram and/or Google. Recently, I have been boosting certain posts on my Facebook page. And no...I did not go crazy just yet as I still have to feed myself and I don't have that much of money on me to spend in the first place. The cheapest option on Facebook to boost a post is RM11 for a period of 3 days. And this is what I have been sticking to for the past one month. Two weeks once, I would boost a post that I know has the potential to gain interests of others and benefit them along the way too. Think of it as having an extra meal during the day. I rarely do this for my blog but hey if you have a really wide range of topics that you touch then sure why not cover viral (in-trend) topics also, right? Like for example, the other day, Whatsapp was down and the internet completely lost its chill. You could always do an opinion or theory piece about it and including all the major keywords. I remember writing an article for my workplace about it and the hits were crazy! Whether you believe it or not...people actually love to read inside scoops and juicy bits of an event. So touching these kind of time-sensitive pieces when it is in the heat, will definitely drive traffic to your blog/website. But be careful and choose your topics wisely...most of the time..when there's a huge 'wave' of interests flooding your website, there will always be stones and sticks coming in as well. But the main idea is to share your blog or post links to Facebook. I don't know if my statistics are right about this but I am confidently going to say that almost 80% of the world's population has a Facebook account, so sharing it 'Public'-ly will definitely benefit you more! On top of that, joining public or secret groups of your niche will definitely help to boost your website's presence. It will take some time to scout around for reliable and relevant Facebook groups, so I would suggest like allocating a weekend just to hunt for these groups and pages. For example, if you are a beauty blogger and you just covered a brand in your post (be it sponsored or not), share the link back to its original page. There's a high chance that they will thank you for it and share it out to their customers as well. Before getting down to business and trying to master the mysterious works of SEO, make sure you have your own 'voice' in your website/blog. It's very important to know the kind of person that you would like people to recognize you with. If you are a bubbly person, your posts should sound or at least be read with the notion that you are an energizer bunny to others. If you are someone that is filled with angst, then most likely your posts would sound or be read with full of sarcasm. Whichever way that you would like to portray yourself, just do it. Because at the end of the day, that's what that is going to make people come back to you. 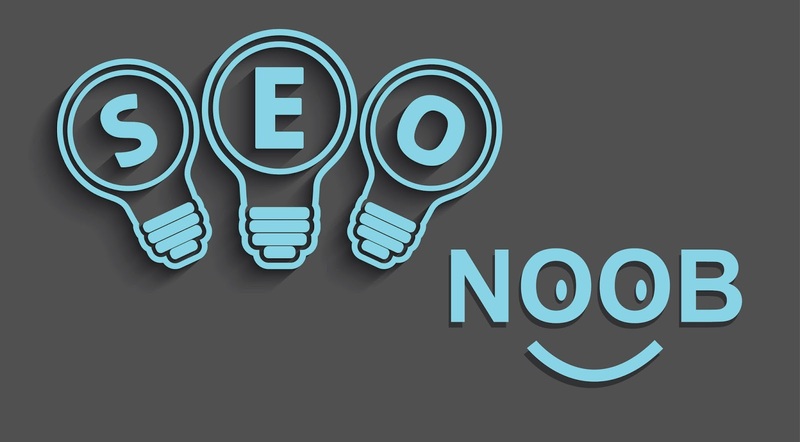 I really hope that this post is useful to you and do let me know if you have any other ways or tricks in mastering this never-ending puzzle of SEO in the comment box below. Searching for the fine and successful SEO work you ought to need to locate the best SEO administrations supplier which gives you the best SEO administrations and from this seoanalytics.pro/service/smm website you can without much of a stretch get the great nature of SEO administrations, which will be painful for your website positioning on the Google list. They should know that SEO Internet marketing mandates a business website, since it is a necessary online marketing tool. A website or blog is same as news ads, letterheads, or the yellow pages. However, the website must be user-friendly and just as advertisement is important, the SEO website is the same. Web design without SEO? web 2.0 creation without web design? That means either you have a great looking website that no one can see or you have an ugly website that thousands of people are viewing. I for one don't like the sounds of either but I see it every day. https://www.fiverr.com/jj_seoservice SEO Service Appreciating the persistence you put into your blog and detailed information you provide. I’ve bookmarked your site and I’m adding your RSS feeds to my Google account.